I see sheep cross the sheep overpasses from 15C to 15BW every once in a while. I always assumed they we going to or coming from a sip in the river. There are three game and fish drinkers in the mountains its looks like that you should probably go scout. And that is the end of my knowledge on the area. 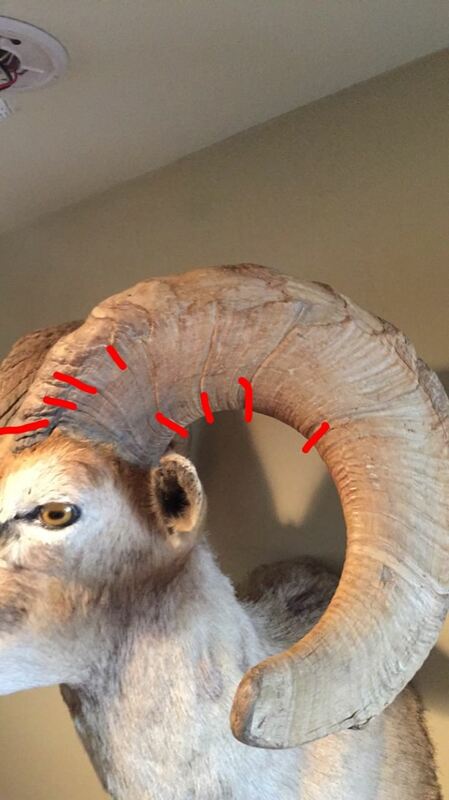 Make sure to see both horns before pulling the trigger. There are some 1 horned rams running around in those units that pneumonia hit. I’ll definitely keep that in mind. Thanks for the advice. I hunted it in 2010 when there were 4 tags. Lots of sheep but nothing very big. Got mine on day 15 when I came to realize that the 160 I hoped for just wasn't there. Still a sheep tag in 15bw is better than spending your life hoping for a tag somewhere else. The experience and memories are still what make a good hunt IMHO. I think the unit has gone downhill from then till now. Best of luck! I do remember you, Mike! That's the amazing part about sheep hunting- all the people who show up to help. Like no other hunting I've ever done. 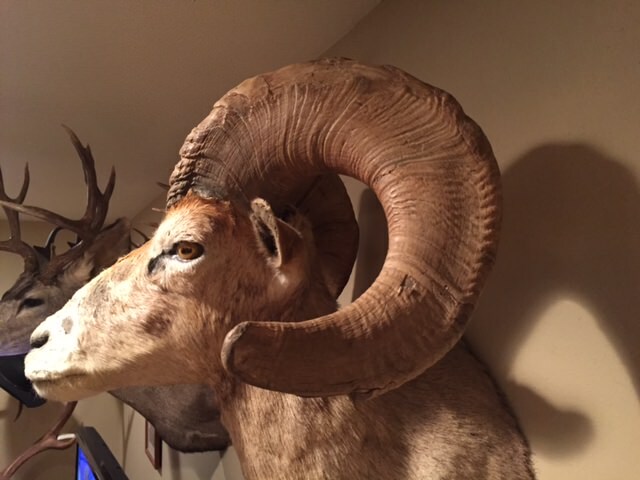 That is a beautiful ram - museum quality mount. 8 y.o.? That is a long time to live in that hot dry desert. Good thing you took him.